To do this, in your Kustomer account head to Settings > API Keys and hit the New API Key button. Set the expiry to No Expiration so the connection doesn't expire and break on you one day. 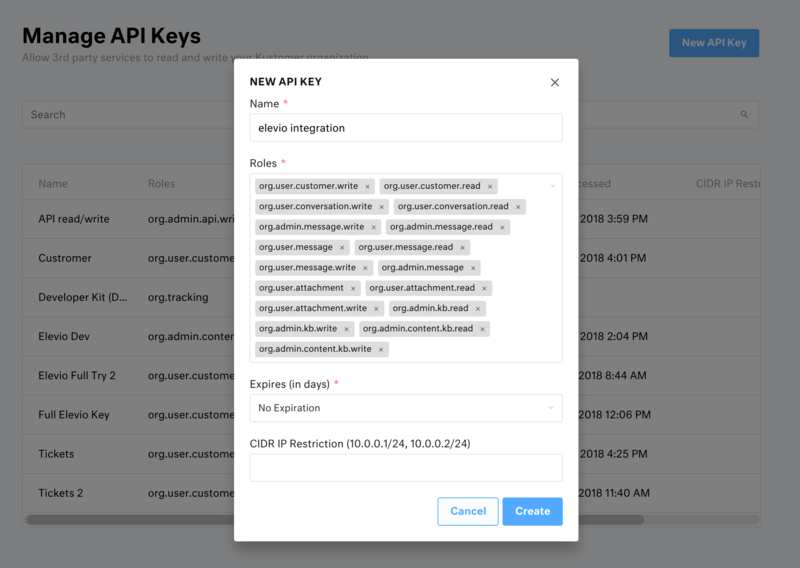 Hit create and copy the API key that is generated. Add that API key to the field available when setting up your connection in elevio, and hit Save & Connect. 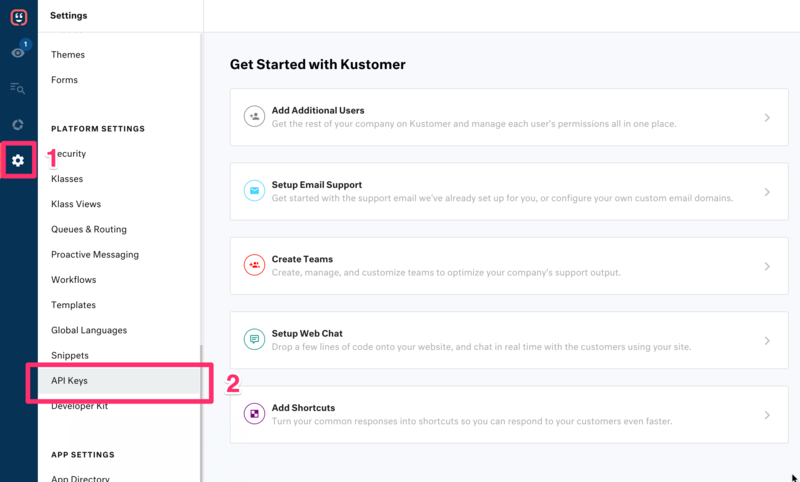 Once your integration with Kustomer is setup, you can sync your content, or add the support module to your assistant allowing your customers to create, view, and reply to tickets right from within your site.